Higher education will provide the foundation for a deepening trade relationship between the UK and China as the bilateral partnership enters a ‘golden era’, according to a new report from the Confederation of British Industry and Middlesex University. Universities provide “a great foundation to build a strengthened UK-China partnership”, the report says. Photo: CBI. Universities provide “a great foundation to build a strengthened UK-China partnership”, according to the report, which highlights the enormous economic benefits of deepening an already strong trade relationship. China is now the UK’s eighth largest export market, but there is more scope for further growth as the country adds an economy “the size of Belgium” every year, according to the report. 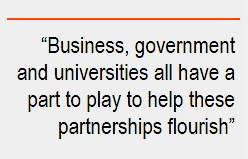 In Bridges to the Future: The Role of Universities in the UK-China Relationship, Josh Hardie, deputy director general of the CBI, which represents some 190,000 UK businesses, writes that university partnerships provide “a key axis for UK-China relations to build on”. China is already the UK’s top partner for transnational education, outlines the report, with 950 TNE programmes enabling more than 57,000 students in China to study towards UK qualifications each year at an overseas arm of a UK university, a joint institution or a joint course. 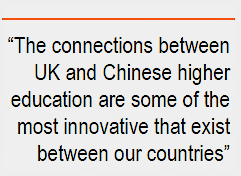 Meanwhile, some 90,000 students Chinese students make up more than a fifth of all international students in the UK. Higher education is increasingly a priority for investment in China, with growing demand for university education and a government focus on research and innovation providing fertile ground for collaboration, according to the report. The UK’s international outlook, leading TNE provision and academic prestige, as well as its position as a “research superpower”, give it a competitive edge to forge these relationships, it argues. There are numerous examples of UK-China joint degree programmes from foundation to postgraduate level, but successful Sino-UK HE partnerships have taken a variety of forms, the report notes. For example, the University of Nottingham Ningbo China, which opened 12 years ago, was the first ‘Sino-foreign’ education institution in China. 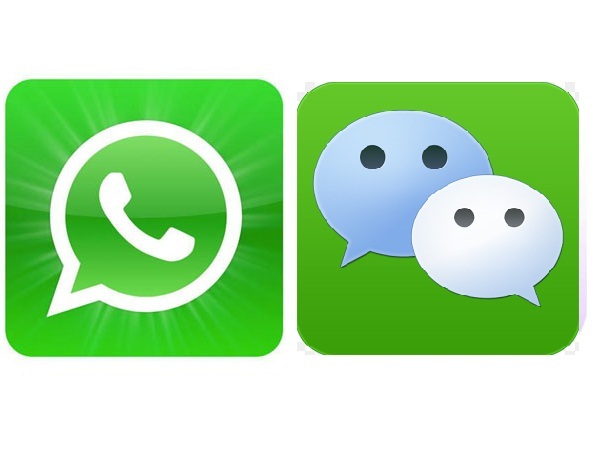 Supported by state-owned independent provider Wanli Education Group and the Chinese Ministry of Education, UNNC has links with industries and now nets the Chinese economy £80m a year. Other institutions, including Queen’s University Belfast and the University of Surrey, have paired up with Chinese counterparts instead. The two institutions offer pharmaceutical and business & tourism management respectively, with the University of Surrey offering both UK and Chinese students a dual campus access during their courses. Meanwhile, in the context of Chinese investment in R&D exceeding 2% of GDP, and China likely to overtake the US as the world’s largest investor within five years, there have been a growing number of R&D collaborations with UK universities. Among them is the University of Dundee’s joint work with a number of Chinese agricultural colleges on potato blight (China is now the world’s largest producer of potatoes) and Cardiff University’s research on cancer, which has been carried out with institutions such as the University of Peking. The study also asserts that UK universities are getting better at collaborating with businesses as well as academic partners, stating that in 2014/15, the value of university earnings through services for business exceeded £1bn for the first time. Among the direct liaison between UK universities and Chinese companies is Cardiff Metropolitan University’s with China-based, and Hong Kong Stock Exchange-listed, Phoenix Satellite TV Holdings Ltd.
Their project is an international media school for some 2,000 students in Cardiff and, in China, four universities offering Cardiff Met degree courses on a franchise basis “with the aim of facilitating an ambitious student exchange programme”. Learning from the case studies in the report, UK universities will have a key role to play in deepening the relationship between the UK and China in the years to come, according to Guy Dru-Drury, head of CBI’s China Office.